We pride ourselves on our innovative, high quality UK log cabins for sale, sourced from industry-leading manufacturers. 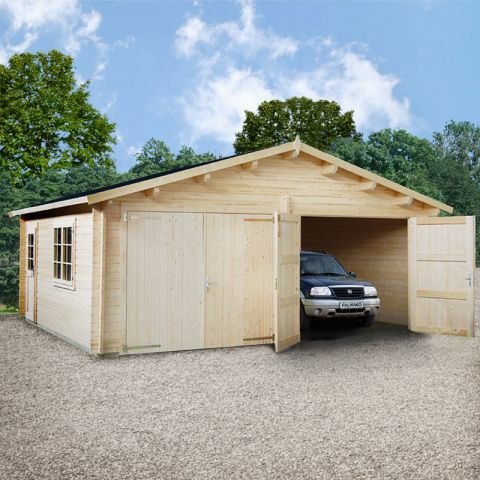 From small sizes perfect for usage as secure sheds or playhouses, to expansive, partitioned garden buildings, our range encompasses a huge variety of products. We also supply stylish garden summer houses, workshops, and garden rooms. 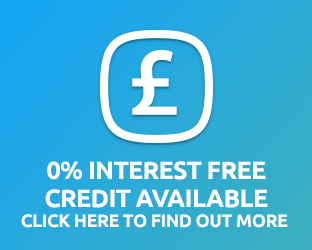 All prices you see on our website include VAT, and we aim to provide the cheapest prices online. 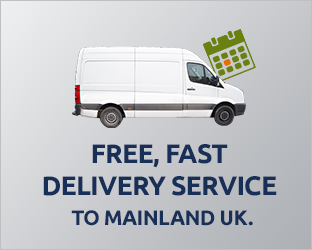 We also offer a free delivery service on all products to the majority of mainland UK postcodes. 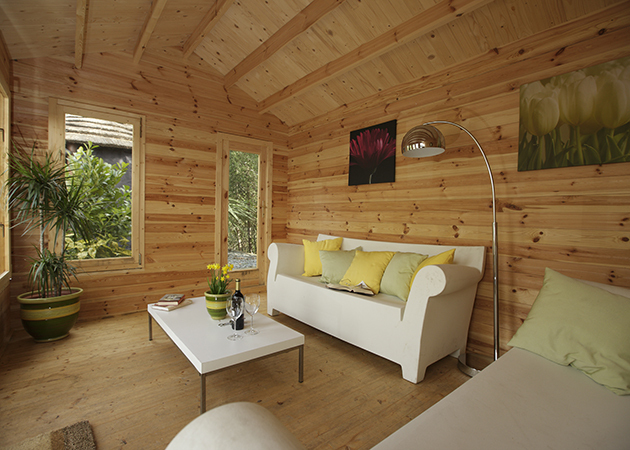 Within our selection of UK log cabins for sale, we're confident you'll find your dream garden building. Should you need any help along the way, don't hesitate to contact our team of experts, based here in the UK; we'll always be more than happy to answer any questions. Don't forget to check out our sister sites, Buy Sheds Direct and Buy Fencing Direct, for even more brilliant garden-related products. Our fabulous range of garden summer houses for sale includes a style and size perfect for every garden. Whether you're looking for a majestic log cabin summer house or a smaller, tranquil escape, we've got some brilliant options for you. Why not have a browse through all of our products today? Our contemporary units are particularly popular thanks to their chic designs. If you're looking for somewhere to complete DIY tasks, store gardening equipment, or work on a project, our garden workshops are well worth considering. 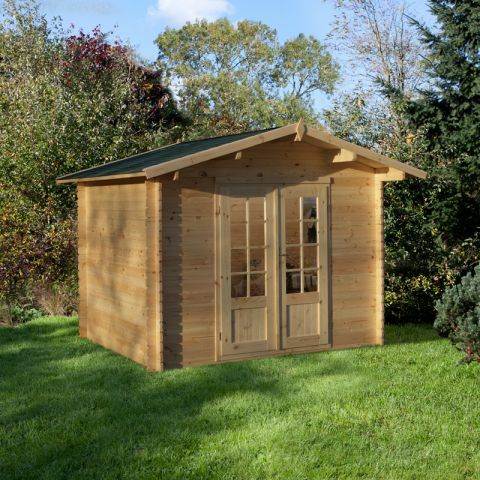 Constructed from tongue and groove timber, and pressure treated, our sturdy garden workshops are designed to stand the test of time; these buildings are guaranteed for a substantial 15 years against both rot and fungal decay. Do you run your own business? Or, have you recently started working from home? 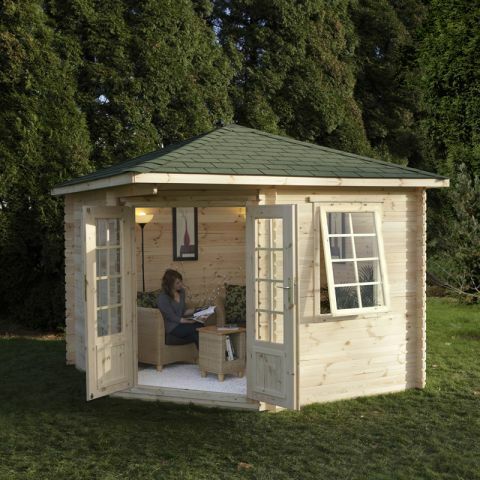 If so, you'll definitely require one of our impressive, comfortable garden offices to improve your productivity. 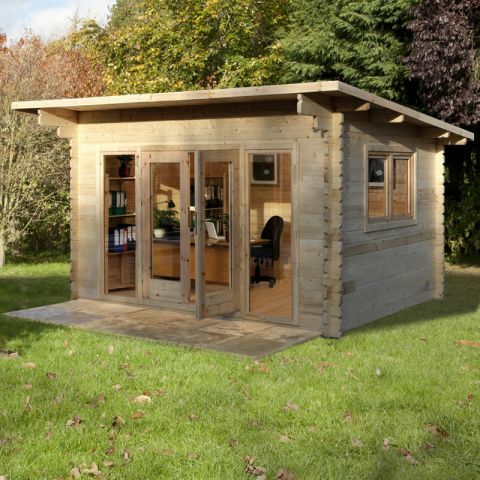 Available in a range of sizes and styles, from contemporary, expansive log cabins, to options for modest outdoor spaces, we have a garden office suitable for each and every garden. Our terrific range of contemporary garden rooms make wonderful additions to any outdoor space; and, they’re suitable for year round use. 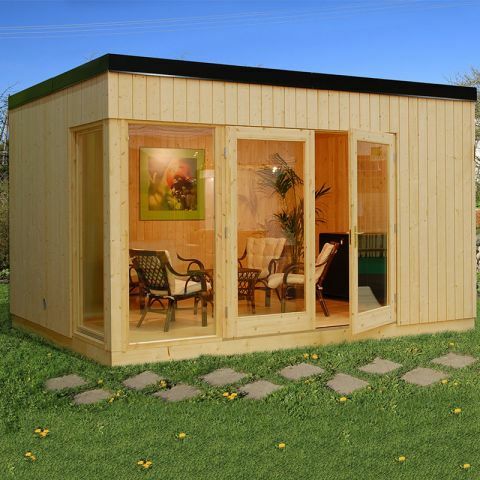 Whether you’re in search of a stylish office to help grow and expand your business, a playroom for your children, or simply some extra living space, our superb garden rooms are a fantastic investment. Log cabin playhouses provide splendid places for children to relax and play away from the house. More secure, safe, and robust than conventional playhouses, our products remain affordable whilst offering increased durability and longevity. Thanks to their larger size, our kids log cabins are suitable for both older children and teenagers too, unlike other options.